I recently had some Windows 10 systems come across my desk, and as part of my timeline creation process, I extracted the Windows Event Log files of interest, and ran them through my regular sequence of commands. While I was analyzing the system timeline, I ran across some interesting entries, specifically "Microsoft-Windows-Powershell/4104" events; these events appeared to contain long strings of encoded text. Many of the events were clustered together, up to 20 at a time, and as I scrolled through these events, I saw strings (not encoded) that made me think that I was looking at activity of interest to my exam. Further, the events themselves were clustered 'near' other events of interest, to include indications that a Python script 'compiled' as a Windows executable had been run in order to steal credentials. So, I sort of figured that this was something worth looking into, so during a team call, I posed the question of, "...has anyone seen this..." to the group, and got a response; one of my teammates pointed me toward Matt Dunwoody's block-parser.py script. My own research had revealed that FireEye, CrowdStrike, and even Microsoft had talked about these events, and what they mean. Script block logging records blocks of code as they are executed by the PowerShell engine, thereby capturing the full contents of code executed by an attacker, including scripts and commands. Due to the nature of script block logging, it also records de-obfuscated code as it is executed. For example, in addition to recording the original obfuscated code, script block logging records the decoded commands passed with PowerShell’s -EncodedCommand argument, as well as those obfuscated with XOR, Base64, ROT13, encryption, etc., in addition to the original obfuscated code. Script block logging will not record output from the executed code. Script block logging events are recorded in EID 4104. Script blocks exceeding the maximum length of an event log message are fragmented into multiple entries. A script is available to parse script block logs and reassemble fragmented blocks (see reference 5). While not available in PowerShell 4.0, PowerShell 5.0 will automatically log code blocks if the block’s contents match on a list of suspicious commands or scripting techniques, even if script block logging is not enabled. These suspicious blocks are logged at the “warning” level in EID 4104, unless script block logging is explicitly disabled. This feature ensures that some forensic data is logged for known-suspicious activity, even if logging is not enabled, but it is not considered to be a security feature by Microsoft. Enabling script block logging will capture all activity, not just blocks considered suspicious by the PowerShell process. This allows investigators to identify the full scope of attacker activity. The blocks that are not considered suspicious will also be logged to EID 4104, but with “verbose” or “information” levels. While the blog post does not specify what constitutes 'suspicious', this was a pretty good description of what I was seeing. 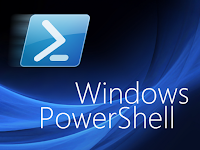 This Windows Powershell blog post contains information similar to Matt's post, but doesn't use the term "suspicious", instead stating that "PowerShell automatically logs script blocks when they have content often used by malicious scripts." So, pretty interesting stuff. That's right...you run the script directly against a .evtx file; hence, the need to ensure that you have the right dependencies in place in your Python installation (most of which can be installed easily using 'pip'). The output file "blocks.txt" contains the decoded script blocks, which turned out to be very revealing. Rather than looking at long strings of clear and encoded text, broken up across multiple events, I could now point to a single, unified file containing the script blocks that had been run at a particular time, really adding context and clarity to my timeline and helping me build a picture of the attacker activity, providing excellent program execution artifacts. The decoded script blocks contained some 'normal', non-malicious stuff, but also contained code that performed credential theft, and in one case, privilege escalation code, both of which could be found online, verbatim. 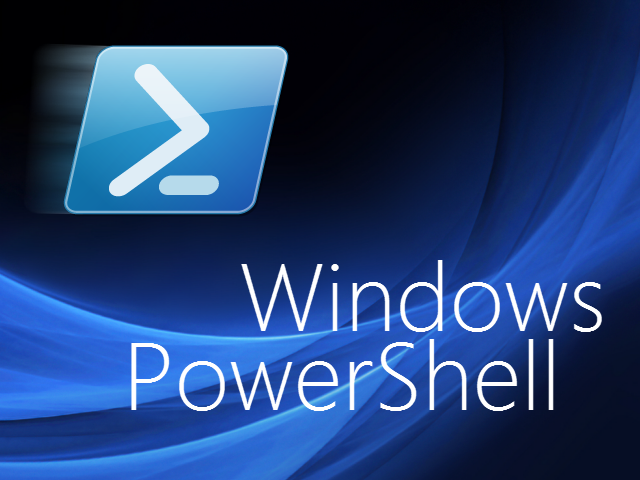 It turns out that "Microsoft-Windows-Powershell/4100" events are also very interesting, particularly when they follow an identified 4104 event, as these events can contain error messages indicating that the Powershell script didn't run properly. This can be critical in determining such things as process execution (the script executed, but did it do so successfully? ), as well as the window of compromise of a system. Again, all of this work was done across what's now up to half a dozen Windows 10 Professional systems. Many thanks to Kevin for the nudge in the right direction, and to Jamie for her help with the script. Not long ago, I blogged about a means for accessing files within VSCs, which was based on a tweet that I had seen. However, I could not get the method described in the tweet to work, nor could others. Dan/4n6k updated his blog post to include a reference to volrest.exe, which is part of the Windows 2003 Resource Kit (free download). This is a great tool...it is part of the Win2003 resource kit but works on Win10...who knew? Okay, so, are there any previous versions of the System and SAM files available? Hhhhmm...that might explain why I wasn't able to copy the files in my tests...there were no previous versions of the files available. The ISC handler's diary recently had a really good write-up regarding malware analysis regarding a malicious Office document, "fileless" malware, and UAC bypass. This is a really good write-up of what the malware does, from start to finish, and provides not only individual indicators, but by providing them in the manner that they're shared, provides a view of the behavior of the malware, as well. This can be extremely useful for detection, by looking to the individual indicators and seeing how you would detect them, perhaps even in a more general case than what is shared. Not long ago, I remember reading something that stated that one variant of similar malware was using the same sort of UAC bypass technique, and it was changing the Registry value back to the original value after the "exploit" had completed. This is why timeline analysis is so important, particularly when coupled with process creation monitoring. Activity such as this happens far too quickly for a VSC to be created, so you won't have any historical artifacts available. However, the LastWrite time for the key would serve as an indicator, much like the Win32ClockProvider key, or the Policies\Secrets key (per the Volatility team). Not long after sharing some thoughts on ransomware, I ran across this little gem that struck (kind of) close to home. Assuming that this was, in fact, the case (i.e. 70% of available CCTV cameras taken down by ransomware...), what does this tell us about the implications of something like this? The ransom wasn't paid, and the systems were 'recovered', but at what cost, in manpower and time? I've updated a couple of the RegRipper plugins; maybe the most notable update is to the userassist.pl plugin. Specifically, I removed the alerts function, and added printing of decoded value names that do not have time stamp values. One of my co-workers reached to me recently and asked about some differences in the output between the plugin, and what XWays produces. I took a look at it...he'd provided the NTUSER.DAT...and as I was going over the output, I remembered that when I had first written the plugin, I had it output only those entries that had associated time stamps. Apparently, he'd seen something of value, so I modified the plugin to output a list of the value names whose data did not contain a time stamp. I did not modify the userassist_tln.pl plugin, for obvious reasons.